Treat your friends and family members to some delicious cupcakes that will keep them drooling way after the party is over! 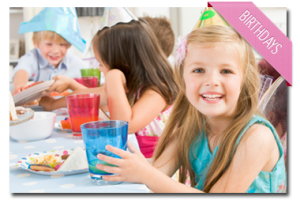 With our fun decorations and delicious flavors, Smallcakes is sure to brighten every celebration! Who wants to spend hours baking when you could be celebrating? Come by Smallcakes and pick up a few dozen cupcakes instead. With so many flavors to choose from, you can make the birthday girl or boy feel special but still have something for everyone. We can create custom orders too…so if there is something that you have to have, let us know and we can create it for you! Fancy fondant flowers? Cakes as tall as a child? Who needs that when you can have cupcakes? Smallcakes can help you create individual wedding cupcakes that are as special as you are…and as unique! Whether you are having a small, intimate wedding or a celebration with 300 of your closest friends, our cupcakes provide the perfect sweet ending to your romantic day. And because Smallcakes bakes their cupcakes daily and also provides custom orders, you can get exactly what you want (and shouldn’t you be able to?). 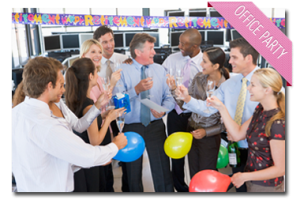 Celebrating a retirement or a fantastic quarter or just looking for a way to lighten up your boring weekly meetings? Smallcakes is the perfect solution. The perfect combination of celebration and mood lifter, cupcakes make every meeting better. And with our fantastic selection of flavors, everyone can have what they want. 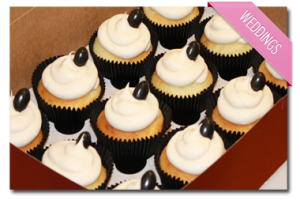 Come by to pick up a few dozen cupcakes or place a custom order so we can have it ready for you! Something in your work day should go your way! Smallcakes knows that being part of the community is important. We partner with non-profit organizations and schools to help you raise much needed funds in a delicious way. 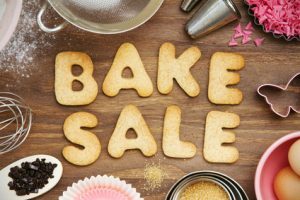 Setting up a fundraiser with Smallcakes is easy. 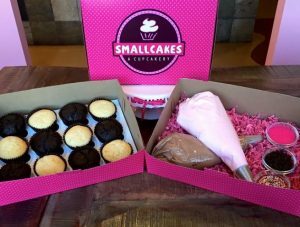 Just choose the day that you would like to hold your fundraiser, tell all of your friends to come on down to Smallcakes and Smallcakes will donate 20% of the proceeds back to your non-profit organization.